Today’s modern data centers are nimble, combining the agility of cloud and virtualization software along with Software-defined Networking (SDN). 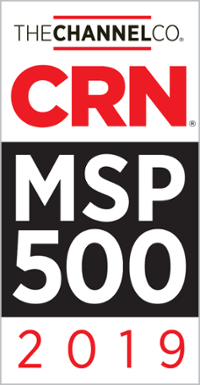 Moving beyond the standard deployment of hardware based compute, storage and network solution, the new hybrid infrastructure includes software virtualization solutions for compute to fully automated cloud software platforms. Network disaggregation is an open networking model which gives you more flexibility, enabling you to choose software independently of the switch hardware. You can now choose which hardware vendor you want to layer on your OS that fits your specific needs, making your network work more effectively with your business. A total software-based infrastructure requires more than just virtualization. 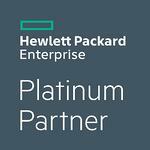 HPE has partnered with Big Switch Networks to give customers access to the advanced features in both Big Cloud Fabric and Big Monitoring Fabric SDN software. By combining the HPE Altoline Open Networking Switching hardware with Big Switch SDN software, you can simplify the deployment and management of your data center switching fabric and networking management, lower your costs and improve your operations. 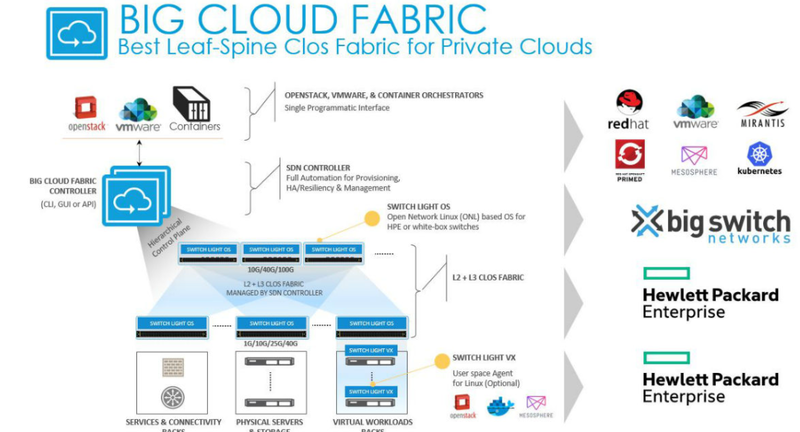 Big Cloud Fabric is a next-generation data center switching fabric that leverages SDN to create a faster, flexible and more intelligent network. 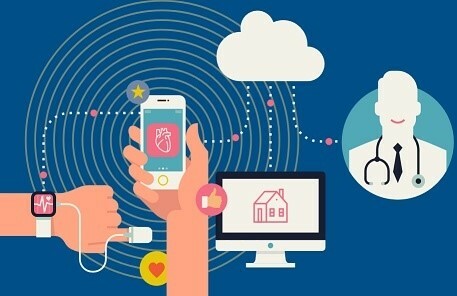 It is designed to meet the requirements of physical or virtual workloads, or a combination of both. Big Monitoring Fabric is a modern, low-cost network visibility fabric that provides ‘pervasive security monitoring of network traffic and visibility of an organization’s network traffic.’ It can be deployed in either out-of-band or inline mode and provides real-time flow-level and application level visibility. Significant cost reduction due to hardware/software disaggregation. With HPE and Big Switch Networks, you can confidently make the move to transform your data center. Versatile understands your network has a lot riding on it and we work to make sure it's fit to handle the changing dynamics of the business world.  As an HPE Platinum Partner, we are recognized in the industry for our proven networking solutions. Whether your business needs to scale your cloud data center network solution or secure your wired and/or wireless environment, Versatile has the experts ready to assist you.